Temperature Range: Range 0-100 %. — Indoor Temperature & Indoor Humidity display. 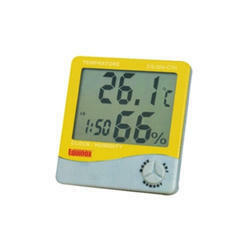 Glass Agencies EROSE are manufacturer of Thermo Hygrometer Jumbo Digital. we are engaged in providing the broad assortment of RH / Dew point /Moisture Meter and Hygrometers. 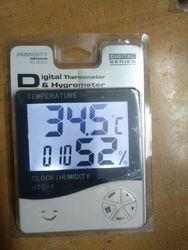 With sincerity and hard work of our experts, we have carved a niche for ourselves in this domain by manufacturing an exclusive range of Digital Hygrometer.